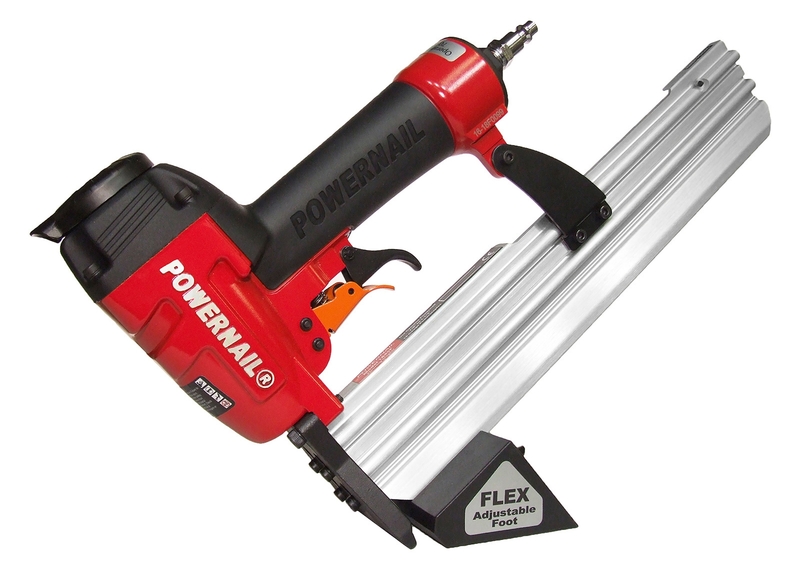 The next generation from Powernail is engineered and designed with performance in mind. 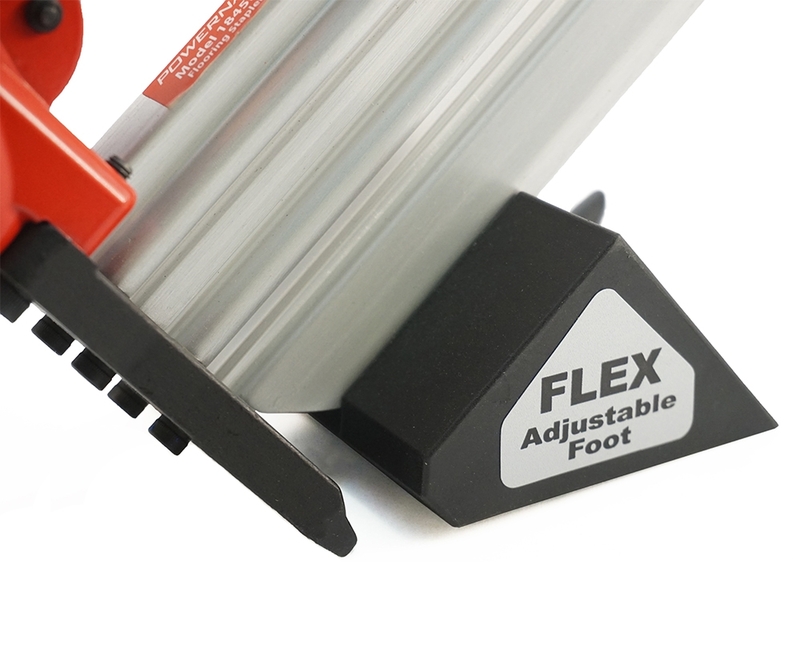 The re-designed FLEX Foot offers a simpler solution for varying wood thicknesses, requiring only a single adjustment. 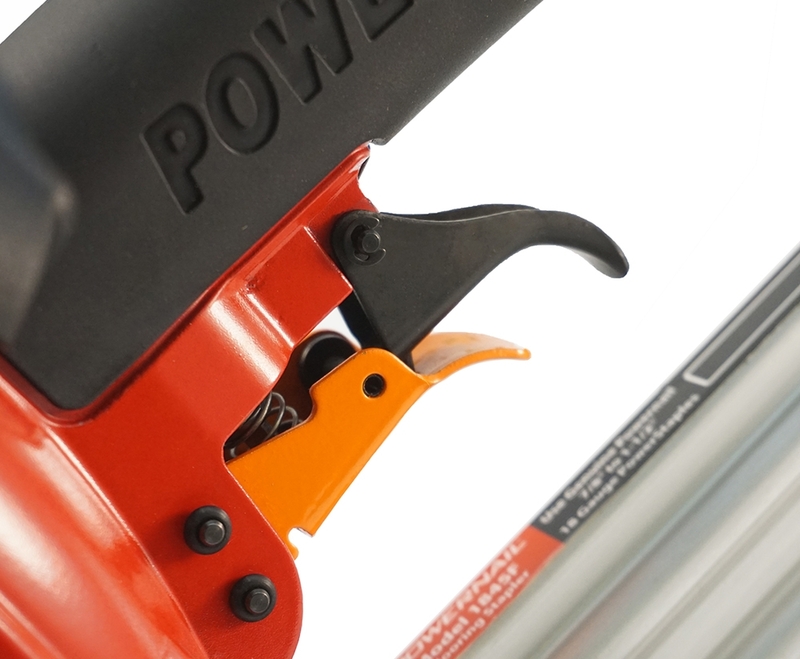 The nose fits tightly into the nail pocket and slides securely along for superior control. 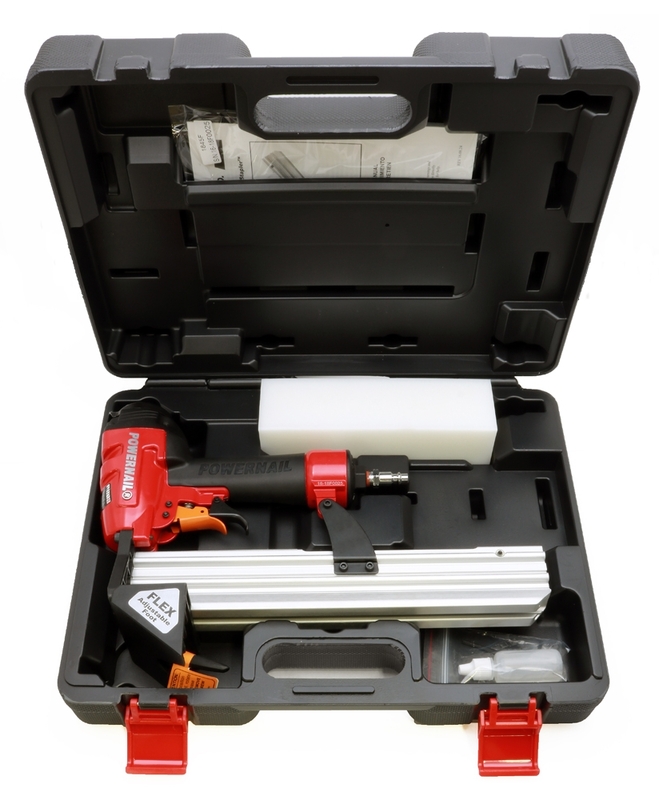 Its compact size fits tight to the wall allowing for faster starts and finishes. It has an easy jam clearing gate mechanism. 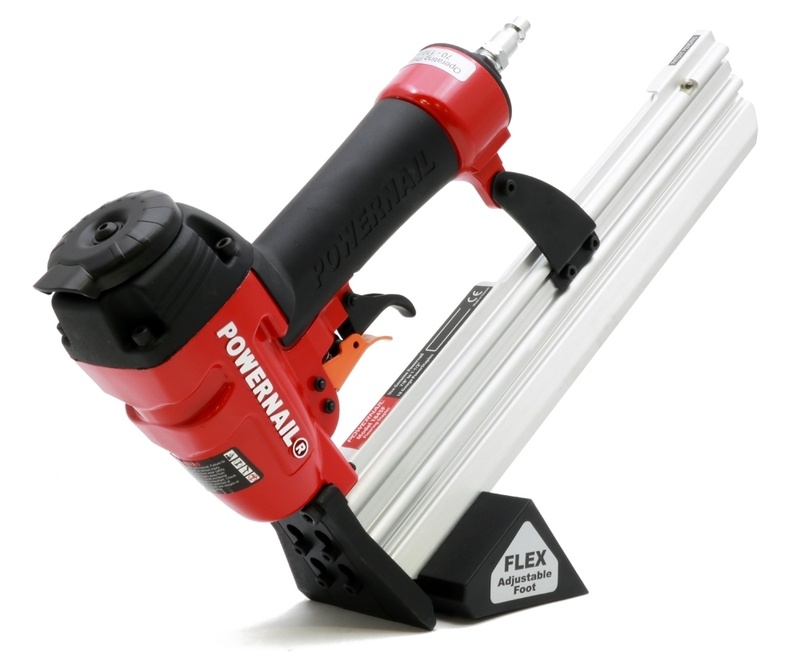 Combine this tool with our PowerStaples® and you can securely fasten a wide variety of engineered flooring. 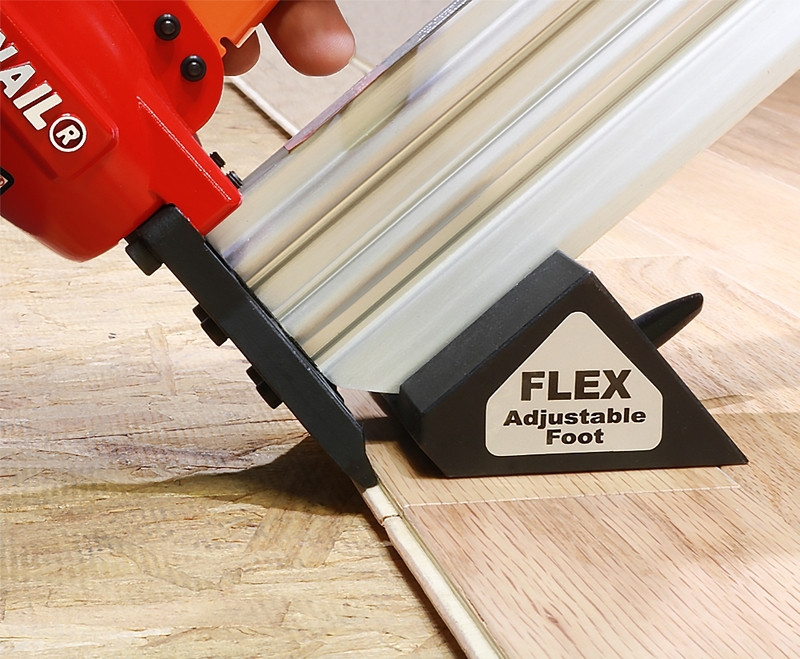 The Model 1845F is the perfect performance match for the next generation of flooring.